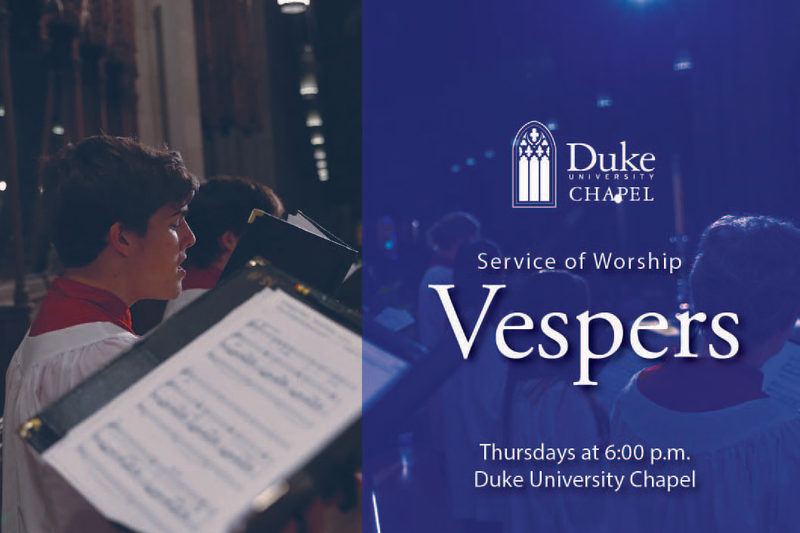 This Choral Vespers will be held in Goodson Chapel in the Divinity School's Westbrook building. As daylight fades, Choral Vespers invites students and community members into the darkened Chapel to experience sacred music, scripture readings, and prayer.The Duke Vespers Ensemble leads the choral portion of the service. All are welcome! Please note that services occur only during the academic semester. This year, services will take place every Thursday from September 6-December 6 and January 10-April 11, excluding Thanksgiving Day and March 14 (Spring Break).